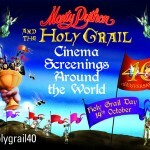 As we continue our 40th anniversary look back at what is, perhaps, the greatest comedy film of all-time, we found a gem from the DVD extras of Monty Python and the Holy Grail. 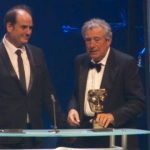 Written and performed by the Monty Python comedy group, the film was conceived during the hiatus between the third and fourth series of their BBC television program, Monty Python’s Flying Circus. 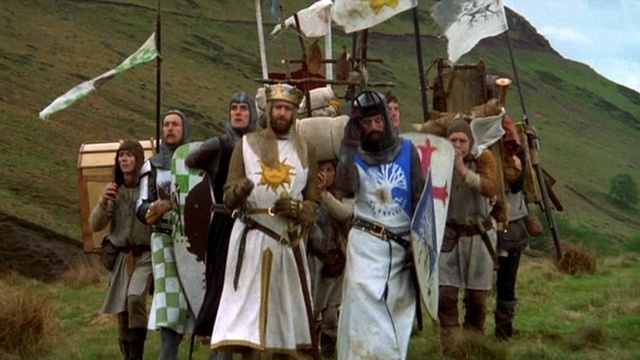 With a budget that, by today’s standards, would be nothing short of laughable, the ‘Holy Grail’ is considered to be the troupes first “proper” film costing approximately £230,000 ($400,000) to make. 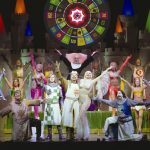 Monty Python and the Holy Grail begins in 932 A.D. and tells the tale of King Arthur, along with his squire, Patsy, as he begins to recruit his Knights of the Round Table: Sir Bedevere the Wise, Sir Lancelot the Brave, Sir Galahad the Pure, Sir Robin the Not-Quite-So-Brave-As-Sir-Lancelot, and the aptly named Sir Not-appearing-in-this-film. 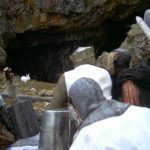 Monty Python reminds us all this Easter to ‘Fear the Bunny’! Grab your coconuts! 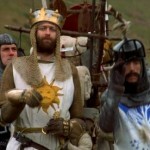 It’s ‘Holy Grail Day 2015’!